The Association of Surfing Professionals (“ASP”) is pleased to announce that it has appointed Accelerate Sport (Pty) Ltd as its commercial sales agents for South Africa and the rest of the African continent. Managing Director of Accelerate Sport, Gary Grant said “We are delighted to be representing the ASP on the Continent, they are a highly professional organisation and we are thrilled to be a part of where they are taking the sport. This appointment not only adds to our business diversity and Africa growth strategy but also further entrenches our association with surfing as current commercial partners of Surfing South Africa. Surfing events are now lifestyle occasions attracting a cross section of people and activities, offering brands and host destinations greater personal reach and experiential marketing capabilities”. The Association of Surfing Professionals (“ASP”) is the world surf league. The foremost authority of the sport since 1976, the ASP sanctions and operates the following tours: the World Junior Tour, World Longboard Tour, the Qualifying Series (consisting of ASP Prime and ASP Star events) and the crown jewel of the sport, the Samsung Galaxy ASP World Championship Tour which determines the sport’s undisputed world champions. The organization is headquartered in Santa Monica, California with Commercial Offices in New York. The offices are supported by regional centres in Africa, Asia, Australasia, Europe, Hawaii, North America and South America. In 2015, the ASP will officially be renamed the “World Surf League (WSL)”. Dylan Lightfoot and Emma Smith clinched their respective men and women’s Pro Junior titles at the first stop on the Billabong Junior Series presented by BOS which was completed in consistent one to1.5 metre waves in Mossel Bay on Sunday. The victories see the pair take an early lead in the rankings to select the three men and one woman who will represent ASP Africa at the 2014 ASP World Junior Surfing Championships scheduled for the end of October. Lightfoot, 19, from Jeffreys Bay, took the momentum from his top 16 finish in an ASP QS event in Argentina last weekend into this event by convincingly winning his opening heat. The third seed then placed second to Cape Town’s Jordy Maree in Round 2 before getting revenge by defeating Maree in their Man-on-man semi-final encounter. In the final Lightfoot used a patient strategy, picking off the best lined up waves across the Outer Pool point, to defeat top seed Diran Zakarian (Melkbosstrand) whose tactics of catching plenty of waves and going for big manoeuvres saw him relegated to the runner-up berth. Lightfoot pocketed R8 000 and 750 rankings points for the victory along with the Nixon WTA (Winner Takes All) Award of a Nixon Supertide watch for the highest heat score of the event, 16.5 out of a possible 20 points in his semi-final win. Zakarian, who won every heat he contested up to the final, collected R4 000 and 563 points for placing second and also picked up the VonZipper Brainblast-Off award for completing a big backhand air reverse in the VZ Airshow. Emma Smith (Jeffreys Bay) justified her top seeding in the women’s 20-and-under division, winning her opening encounter, placing second to Chanelle Botha (Warner Beach) in the semis and then clinching the title in a low scoring final. Smith took home R4 000 and earned 750 points which puts her in pole position for a second consecutive appearance at the ASP World Junior Championships in October. The second event in the Billabong Junior Series presented by BOS is scheduled for Cape Town on August 8 – 10. The series, which also includes Surfing South Africa (SSA) Pro Surf Tour (PST) events for U14, U16 and U18 boys and girls plus U12 boys, is supported by BOS, Playstation, Samsung, Nixon, DaKine, KR Fins and VonZipper. Dale Staples posted the best result by a South African in many years at the iconic surf break of Pipeline in Hawaii yesterday when he finished ninth in the ASP 5-Star rated Volcom Pipe Pro which was run in excellent tubing double overhead waves over the last three days. Staples, 22, from St Francis Bay, the only Saffa in the event, recorded three outstanding heat victories against several of Pipeline’s best exponents to reach the quarter-finals of the US $130 000 (approx. R1.17 million) contest before being eliminated with earnings of R22 500 and 633 rankings points. The event was won for the third successive time by ASP World No. 4 and Pipe local John John Florence whose mastery of the break was exceptional. Florence, 20, who lives right in front of Pipeline on the North Shore of Oahu, posted four rides of over 9 out of 10 in his Round 64 heat, totaling a near perfect heat tally 19.70 out of a possible 20 for his top two. His total of 16.33 in the final was enough to give him victory over Chris Ward (USA), Josh Kerr (AUS) and fellow Hawaiian Olamana Eleogram along with the winner’s cheque for US $20 000 and 2 000 points. The South African trio of Sarah Baum (Athlone Park), Bianca Buitendag (George) and Rosy Hodge (East London) all advanced to Round 3 of the ASP 6-Star rated Breaka Burleigh Pro in excellent 1.0 to 1.5 metre waves on the Gold Coast of Australia earlier today. Baum, ranked No. 17 on the ASP Women’s Star rankings at the end of 2012, and Buitendag, who qualified for the 2013 ASP Women’s World Championship Tour (WCT) by finishing last year ranked No. 2, each placed second to their respective Round 2 heats to advance to the last 24 in the $40 000 event. Hodge, a former ASP Women’s WCT campaigner, was the top South African performer on the day, winning her heat with a tally of 15.34 out of 20, the seventh highest heat total recorded, to advance to Round 3 along with second placed Sage Erikson (USA). The organisers completed Rounds 1 & 2 of the women’s event and the first two heats of the 160-man men’s contest where SA’s Steven Sawyer (Jeffreys Bay) and David van Zyl (Glanashley) will join the action in Round 3 (round of 96). All the action at the Breaka Burleigh Pro can be followed live at http://breakaburleighsurfpro.com.au starting around midnight (SA time) each day. South Africa’s hot young crop of aspiring professional surf stars are heading for all points of the compass as the 2013 Association of Surfing Professionals (ASP) season gets underway with Star rated events for men in Hawaii and China next week followed by further contests in Australia and Puerto Rico during February. While the world’s top 34 ranked men and top 17 women only commence the race for the 2013 ASP World Titles on Australia’s Gold Coast early in March, the 11-day waiting period for the 5-Star rated Volcom Pipe Pro starts on Sunday 27 January at Pipeline in Hawaii. Dale Staples from St Francis Bay, who finished 2012 at No.101 on the ASP Men’s World Rankings, is the sole South African in the 112-man field which is headed by defending event champion and current ASP No. 4, John John Florence (HAW). Meanwhile four Saffas will participate in the second edition of the 4-Star rated Hainan Classic which runs at Riyuewan Bay on the tropical Chinese island of Hainan from 28-30 January. Kommetjie based brothers, Davey and Benji Brand, and Remi Peterson (Jeffreys Bay) will start in the Round of 96 in China with David van Zyl (Glenashley) seeded directly into the Round of 64. After China, van Zyl travels to Australia for the 4-Star rated Breaka Burleigh Pro at the iconic Burleigh Heads on the Gold Coast of Queensland. There he will be joined by Steven Sawyer (Jeffreys Bay) in the Round of 96 with Mikey February (Kommetjie) on the alternates list for the event, which runs from 3-10 February. The women’s event at the Breaka Burleigh Pro is a one of just six 6-Star rated events on the ASP Women’s Star tour and has attracted a powerful field including four South Africans. The Saffa contingent is headed by Bianca Buitendag who won 6-Star events in Peru and the Azores last year, resulting in the 19 year-old from George qualifying as the only newcomer amongst the top 17 for the 2013 ASP Women’s World Tour. Compatriots Sarah Baum (Athlone Park), who was in contention for a spot on the Women’s World Tour herself last year, and former top-tier campaigner Rosy Hodge (East London) will start alongside Buitendag in the Round of 48 in the US $40 000 event with Faye Zoetmulder (Port Elizabeth) opening her challenge one round earlier. The Brand brothers and Peterson head for the Caribbean after China where they will be joined by California based former Mossel Bay standout Shaun Joubert in the 4-Star Rip Curl Pro Puerto Rico from 9-13 February. Joubert, 21, ended 2012 ranked No. 95 and will benefit from being one of the top 10 seeds in Puerto Rico as he seeks to maintain a top 100 ranking that guarantees entry into the 6-Star and Prime events with their lucrative prize-money and higher rankings points. After the Caribbean, Joubert heads for Australia where he and No. 94 ranked Beyrick de Vries (Umhlanga) along with February, van Zyl and Sawyer will contest the 6-Star, US $155 000 Burton Toyota Pro at Merewether beach in Newcastle from 18-24 February. The Newcastle event sees the first competitive appearance of the year for newly crowned ASP World Champion Joel Parkinson. (AUS) and a dozen more of the world’s top 32 ranked surfers. Sawyer and van Zyl will also compete against more than 100 international surfers aged 20-and-under in the 2-Star Burton Toyota Pro Junior. The 6-Star Hunter Ports Women’s Classic, which runs in conjunction with the men’s event at Newcastle, presents a second opportunity for the South African quartet of Buitendag, Baum, Hodge and Zoetmulder to accumulate additional cash and rankings points. While the quality of the women’s field has been strengthened by the entry of five-time ASP Women’s World Champion, Stephanie Gilmore (AUS), who makes her first foray into competition for the year, Buitendag will be encouraged by her results in the beach break waves at Merewether last year where she placed 3rd in the women’s event and won the Pro Junior women’s crown. The respective men’s and women’s ASP World Championship Tours (WCT) then take centre stage as the $450 000 Quiksilver Pro and the $120 000 Roxy Pro, both presented by Land Rover, run side-by-side from 2-13 March on Australia’s Gold Coast. South Africa’s Jordy Smith, 24, is determined to improve on his No.12 ranking after an inconsistent 2012 season while Travis Logie, 33, will be looking to build on his career best No.21 ranking after having to re-qualify for the top tier via the Star events a couple of years back. Bianca Buitendag faces a baptism of fire as the only rookie of the 2013 women’s WCT as she has never before competed at this level, However, a stellar qualifying campaign in 2012 saw her defeat a number of the established campaigners in her first full year on tour and end the year No. 2 in the women’s Star rankings. Now a year older, wiser, stronger and more confident, Buitendag looks set to not only hold her own, but to upset her more experienced opponents in any conditions. SOMEWHERE, Porta Del Sol/Puerto Rico (Wednesday, November 3, 2010) – The Association of Surfing Professionals (ASP), Rip Curl and surfers unanimously decided to cancel competition at the Rip Curl Pro Search Puerto Rico today out of respect for yesterday’s unexpected passing of surfing icon and current ASP World Tour competitor Andy Irons (HAW), 32. Irons, a three-time ASP World Champion, withdrew from competition citing illness and was en route back home to Kauai, Hawaii yesterday when he passed away. The loss of one of professional surfing’s greatest icons has sent shockwaves through the international sporting community. 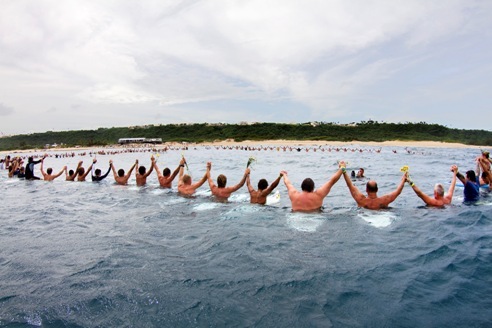 A paddle out memorial service was held on-site in Porta Del Sol, attended by the world’s best surfers and hundreds of admirers. “It was nice for everyone to be together to have a chance to talk about him, about our memories: a little laugh, a little cry,” Slater said. “We just want to send some positive thoughts out to his family – to his wife, to his brother, and to his child that is coming next month. We’re all just thinking about that. “It’s a really sad day and I think everyone is still in shock,” Gilmore said. “It’s crazy how the world works in mysterious ways. Luckily we’re all here together. Following the service, ASP, Rip Curl and the surfers opted to postpone the recommencement of the Rip Curl Pro Search Puerto Rico until Friday, November 5, 2010. Event organizers will reconvene Friday morning at 7am for a possible 7:30am start. When competition resumes, up first will be Taj Burrow (AUS), 32, up against rookie Dusty Payne (HAW), 21. Three-time ASP World surfing champion, Andy Irons, 32, from Hawaii, passed away yesterday en-route from Puerto Rico to his home on Kauai from complications due to illness, thought to be Dengue fever. Irons, whose failure to appear for his Round 1 heat in the Rip Curl Search event in Puerto Rico caused consternation on Saturday, withdrew from the event on Sunday, citing an illness he had contracted at the previous stop on the ASP World Tour in Portugal. He checked into a hotel in Dallas, Texas, on Monday and was found dead in his room by hotel staff the next morning. Renowned for his incredible ability in all types of surf, but particularly in big, hollow waves such as those in Hawaii and Tahiti, Irons began his career on the elite ASP World Tour in 1998 and went on to collect 20 elite tour victories, four Hawaiian Triple Crown of Surfing titles, three consecutive ASP World titles (2002-2004) and changed the sport forever with his unparalleled approach to surfing. Well known in South Africa for his titanic tussles at Supertubes in Jeffreys Bay with local wildcard Sean Holmes, Irons’ victory there in 2004 and his part in one of the most dramatic finals in ASP World Tour history with nine-time ASP World Champion Kelly Slater (USA) in 2005 are part of surfing folklore. Back in the competitive mix after taking a one year sabbatical from the ASP World Tour in 2009, Irons won Stop No. 5 of 10 at Teahupoo in Tahiti, one of his favourite waves, in August. He also featured in numerous films and videos, including Blue Horizon and Trilogy, and his passing will be mourned by the entire global surfing community. Irons is survived by his wife Lyndie Dupuis, who is due to give birth to their first child, a boy, next month. The world of surfing mourns an incredibly sad loss today with the news that Hawaii’s Andy Irons has died. Andy was a beloved husband, and a true champion. Irons, 32, withdrew from a professional surfing event in Puerto Rico last weekend due to illness, and passed away during a layover en-route to his home in Kauai, Hawaii. He had reportedly been battling with Dengue Fever, a viral disease. At this time the family thanks his friends and fans for their support, and asks that the community respect its privacy. The family also asks to not be contacted so their focus can remain on one another during this time of profound loss. Billabong team rider Dale Staples put himself firmly into contention for the 2010 ASP World Junior title with a sensational runner-up finish in the Oakley ASP Pro Junior in Bali, the first of two events that will culminate in the crowning of undisputed world’s best junior surfer in Sydney, Australia in January. The 19 year-old from St Francis Bay in the Eastern Cape had a stunning run through the 48 man field of the world’s best 20-and-under surfers before ending up just short in the final against today’s winner, Australian Jack Freestone. Coming into the event seeded No.30, Staples opened slowly with a second place finish behind No. 3 seed Granger Larsen (HAW), but got his game plan spot on thereafter with victories over Enrique Ariitu (PYF) and compatriot Chad du Toit (Durban) before exacting revenge on Larsen in their Round 4 duel. Staples got his charge to the final underway with a comprehensive quarterfinal victory over No. 14 seed Evan Thompson (USA) this morning, sealing his semifinal berth with a near-perfect 9.73 out of 10 ride that left the American comb’ed with five minutes remaining. The South African then had to come back from a combo situation himself in the semi clash against No. 8 seed Mitch Crews (AUS). Needing to improve both his counting scores with 15 minutes left on the clock, Staples produced a 7.50 and then followed that up with another phenomenal ride of 9.33 that left the Aussie looking for 8.34 points when the siren sounded. As the swell dropped off and the tide went out, Freestone posted a 9,57 on the first ride of the final and despite Staples having the opportunity to clinch the win on a set wave late in the heat, he was clipped as he exited the barrel and the Aussie claimed victory. Staples admitted that he was anxious heading into the later stages of the finale. Staples pocketed US $5 000 (approx. R35 000) and a priceless 8 000 ranking points for his runner-up finish and goes into the Billabong ASP World Junior Championships at North Narrabeen in Sydney in January full of confidence. With victories in the Billabong Pro Junior on the KZN Dolphin Coast in April and the VonZipper Wild Card Shoot Out at Jeffreys Bay in July, followed by his stellar wildcard performances in outstanding overhead surf at Supertubes against the world’s top professional surfers in the Billabong Pro, Staples will be looking to emulate current ASP World No. 2 Jordy Smith (Durban) and become the second South African to clinch the ASP World Junior title in Australia in three months time. South Africa’s Dale Staples has advanced to the quarterfinals of the Oakley ASP World Pro Junior in Bali, defeating the No. 3 seed Granger Larsen from Hawaii in their Round 4 heat held in epic two metre barreling waves at Keramas in Bali earlier today. Staples, 19, from St Francis Bay continued his momentum from yesterday when he posted the highest single ride (9.80 out of 10) and combined two wave heat tally (16.63 out of 20) of the day while dispatching compatriot Chad du Toit (Berea, Durban) in their Round 3 match up. In today’s outstanding conditions Staples posted a heat tally of 16.07 to oust Larsen and become the last of the seven ASP Africa members still in contention in the event after Shaun Joubert (Mossel Bay) was eliminated in his Round 4 clash by Caio Ibelli (BRA). The event is the first of two on the inaugural ASP World Pro Junior Tour which will crown the ASP World Junior Champion in Sydney, Australia in January. All the action can be followed LIVE at http://oakleyprojunior.com starting at approximately 2am South African time daily. The country’s top pro junior surfers (20-and-under) will be vying for coveted invitations to compete in the inaugural ASP World Junior Tour when the Billabong Pro Junior event is run at Victoria Bay in the Southern Cape from 1-4 September. The event is the fourth and final contest on the 2010 ASP Africa Pro Junior Series and the top four surfers in the yearend rankings will be awarded the sought after invitations to take on their peers from around the globe in the quest to be crowned the ASP World Junior Champion in Sydney, Australia in January 2011. Billabong team rider Shaun Joubert has already clinched the ASP Africa Pro Junior title for 2010 thanks to victories in two of the first three events of the season and the 19 year-old from Mossel Bay is now focused on improving his position on the ASP World Rankings. Joubert will not be competing at Victoria Bay, leaving Billabong teammate Dale Staples (St Francis Bay), the winner of the Billabong Pro Junior event on KZN’s Dolphin Coast in April, in the box seat for one of the remaining three invitations. Staples, a previous winner at Vic Bay, has been in stellar form recently, winning the VonZipper Super Heat to earn a wildcard into the ASP World Tour Billabong Pro J-Bay event where he posted impressive performances against superstars Taj Burrow and Bede Durbidge in the opening rounds. Chad du Toit (Berea, Durban) and Beyrick de Vries (Umhlanga) currently occupy the third and fourth positions in the rankings with Matt Bromley (Kommetjie) just outside the cutoff point. With each surfer’s best three results counting towards the yearend ranking, Devin Lane (Umhlanga), Dylan Lightfoot (Jeffreys Bay) and Brendon Gibbens (Kommetjie) are also within striking range of snagging a top-four spot with victory in the season-ending event. 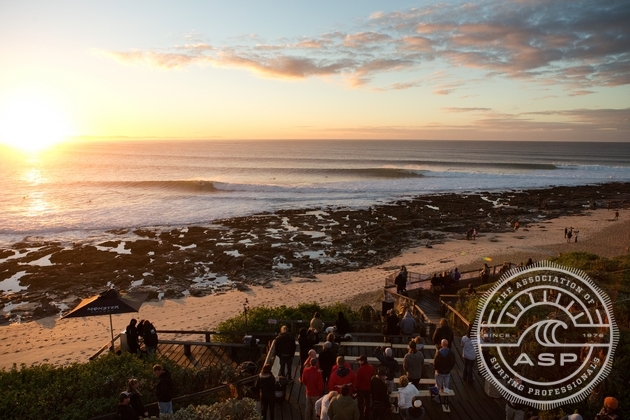 Along with the prized rankings points, the ASP Grade-1 Billabong Pro Junior Vic Bay offers a prize-pool of US $5 000 (approx. R37 500) of which $2 000 goes to the winner. The Billabong Junior Series also sees the country’s top Under 16, U14 and U12 boys and the Pro Junior (U20) girls in action competing for prize-money and ratings points that count toward the annual Surfing South Africa Pro Surf Tour (PST) titles. ASP qualifying series campaigner Tarryn Chudleigh (Kommetjie) along with Dolphin Coast event winner and Vic Bay local Bianca Buitendag (George) are the standouts for the girls’ title. But this well traveled duo will need all their international experience to stave off the challenges from Tanika Hoffman (Kommetjie) and Billabong team riders Heidi Palmboom (Bluff) and rising star Emma Smith (Jeffreys Bay). Billabong’s Steven Sawyer (Jeffreys Bay), who reached the last four in both Pro Junior and U16 divisions in April, and Benji Brand (Kommetjie), winner of the U16’s on the Dolphin Coast and also a favourite in the U14 division, head a highly competitive field in the U16 boys division. They will do battle with Dylan Lightfoot (J-Bay), Diran Zakarian (Melkbosstrand), Jarred Veldhuis (Kommetjie), Slade Prestwich (Scottburgh) and Mikey Venter (Warner Beach), amongst a host of other emerging rippers. Kommetjie friends and rivals Benji Brand and Max Armstrong will go head to head with Slade Prestwich, Matt McGillivray (Port Elizabeth), Steffen Burrows (Strand) and Shane Sykes (Salt Rock) in the U14 division while Jordan Maree (Kalk Bay), Ethan Fletcher (Kommetjie), Adin Masencamp (Strand), Donovan Wichmann (Marina Da Gama) and brothers Jake and Max Elkington from Cape Town look the pick of the U12’s. Images, results and news from the event will be available daily at www.billabong.com. The Pro Surf Tour (PST) events in the Billabong Junior Series are sanctioned by Surfing South Africa (SSA), the national controlling body for the sport, while the internationally rated Pro Junior men’s event is sanctioned by ASP Africa, the regional office for ASP International. Entries for the Billabong Pro Junior Vic Bay have officially closed but there is still space for late entries. To enter go to www.aspafrica.com. Entries for the PST events close 14 days before the scheduled dates. Entries can be made at www.billabong.com/girls/za/entries/enter.php for the Pro Junior girls and the U16, U14 and U12 boys’ divisions. The series is proudly supported by Von Zipper, Kustom and Nixon and fueled by Monster Energy. COOLANGATTA, Queensland/Australia (Wednesday, April 14, 2010) – With two of 10 events on the 2010 Association of Surfing Professionals (ASP) World Tour completed, the dynamic transitions instituted this season are beginning to take shape. The unified system, dubbed the “ASP World Rankings”, will soon be in full swing and is explained here by ASP Tour Manager Al Hunt. In 2010, ASP has made changes to the way the male surfers qualify for and gain ranking points towards the ASP World Title. The ASP World Tour and ASP World Qualifying Series (WQS) are no more as such, being combined in terms of rankings under the umbrella “ASP World Tour” banner, and distinguished through the “ASP World Title Race” and the “ASP World Rankings”. The ASP World Title Race consists initially of 45 surfers fighting it out for points to decide the undisputed ASP World Champion. These 45 surfers all compete in the first five events of the year (Gold Coast, Bells Beach, Brazil, J-Bay and Tahiti) and then the Top 32 seeds move on into the second half of the year from Hurley Pro at Trestles to the Billabong Pro at Pipeline. The surfer with the most points from just the ASP World Title Race events will be crowned the 2010 ASP Men’s World Champion. This will also be the system for every year to come in deciding the ASP World Champion. In addition to the ASP World Title events, the ASP World Tour will encompass the former ASP WQS, running events from ASP 1-Star through 6-Star to PRIME as it was previously. This will allow ASP to have a continual rankings based on a surfers best 8 results, which will be used to select and seed surfers into the ASP World Title events plus ASP 1- 6 Star and PRIME events. After 12 months, previously counting best 8 events are replaced by current events. This means that a surfer may have been counting his result from the Quiksilver Pro in February all year until it gets replaced the following year by the surfer’s next best 8th result. You CANNOT count events for more than 12 months and once the same event has run the previous points are replaced by the new points even if they are worth less. 2010 will also be a transition year with a couple of minor differences to what it will be instituted from 2011 onwards. The differences are that the ASP Men’s World Title 32 seeded surfers for 2011 will be the 2010 Top 22 plus the next 10 based on the ASP World Tour Rankings as of end of the Billabong Pipeline Pro in December, along with two wild cards selected by ASP. During 2011, there will be changes to the ASP World Title Race selected surfers, with the Top 32 from the ASP World Tour Rankings being selected after a yet to be determined number of events. Say ASP decides to have three changeover dates during the year, then after the third event, the previous Top 32 would be replaced by the current Top 32 on the ASP World Rankings. These 32 may still be the same or they could be slightly different with a handful or more new faces. No one knows the exact number, but for sure, any newcomer if they have great results can break into the ASP World Title Race events at any time and not have to slave on the previous WQS for at least one year. Fast tracking those that are good enough is what it is all about. To summarize, in 2010 things are pretty similar to previous years with the exception of adding the ASP World Title event points to a new ASP World Tour Rankings using all previous WQS events. From 2011 onwards, this new ASP World Ranking will decide who gets to compete in the ASP World Title events and eventually decide the ASP World Champion. These ASP World Rankings also decide the selection order and seeding for all men’s events from ASP World Title through PRIME to 1-Star. ASP is excited about these changes and look forward to them until such time a better format comes about and you can rest assured ASP will change when that time comes to remain at the forefront of progressive thinking. Who can win the 2010 ASP World Title? Anyone of the ASP Top 45 surfers that were invited at the start of the 2010 season. The one with the most points at the end of the year is the undisputed ASP World Champion. Will there be any changes to ASP World Title invited surfers during the year? The Top 45 will be cut back to 32 at the end of the 5th event. These 32 are the highest 32 seeds on the ASP World Title Rankings. Will ASP World Tour surfers be able to break into the ASP World Title events during 2010? No, only during 2011 tour will there be changeover periods. The number of changeover periods is yet to be decided. What happened to the ASP WQS? The WQS has been replaced by a Star and PRIME events. Events range in progressive importance from 1-Star through 6-Star to PRIME. What events can be used to count towards rankings? The best 8 of all 10 ASP World Title events count towards the ASP World Title Rankings and best 8 of all 10 ASP World Title plus all 1-6 Star and PRIME count towards the ASP World Rankings. Do ASP World Title event seed replacements and wildcards get to use their results towards their ASP World Rankings? ASP World Title replacement seeds can use the results, but wildcards cannot. 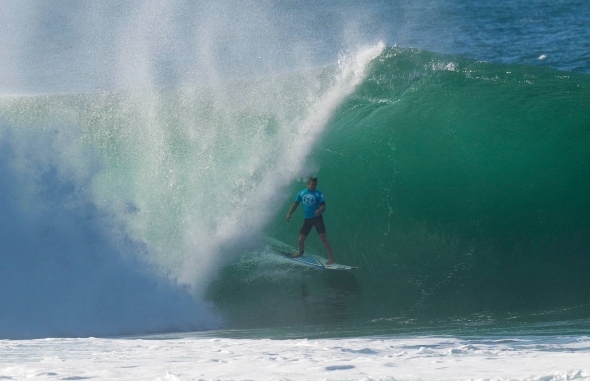 Who will contest the ASP World Title events in 2011? The Top 22 from the end of 2010 ASP World Title Rankings will automatically start the 2011 year as ASP World Title event seeds. These 22, along with the Top 10 from the ASP World Tour Rankings (combined World Title and 1-6 Star and PRIME results) plus two ASP wildcards will start the 2011 year. Why have an ASP World Tour Ranking? The ASP World Tour Ranking after the first 12 months will be used to decide who makes the cut into the ASP World Title events, decide the seeding order for all events plus who gets into 1-6 Star and PRIME events. If any event is oversubscribed as of the closing date, then the ASP World Tour Rankings are used to decide who gets into the event, along with a few exceptions like defending champions, event wildcards and ASP World Junior wildcards if applicable. When do ASP World Tour events get replaced? The best 8 ASP World Tour event results are replaced when a surfer betters their 8th lowest score or an event becomes more than 12 months old. No results can be used for more than 12 months. Visit the Press Room on www.aspworldtour.com for news, images, transcribed athlete interviews and more. The Association of Surfing Professionals (ASP) is the governing body of professional surfing. Crowning surfing’s undisputed world champions since 1976, the ASP sanctions the following tours: the ASP World Tour, the ASP Women’s World Tour, the World Qualifying Series (WQS) and the World Longboarding, Junior and Masters Championships. The ASP is dedicated to showcasing the world’s best surfing talent in a variety of progressive formats and has revolutionized the way the world watches surfing via their webcasts. The organization is divided into seven different regions: Africa, Asia, Australasia, Europe, Hawaii, North America, and South America.